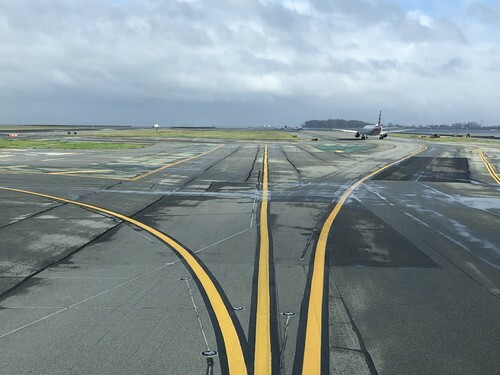 Image of water pooling on the runway at SFO after a rainstorm. Experts say pooling is a sign of differential sinking. 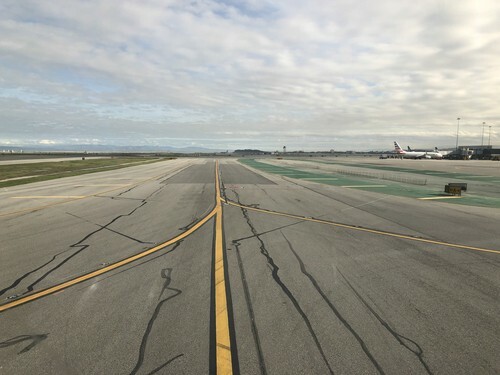 Image of repaired alligator cracks on the runway at SFO. Experts say these cracks are signs of differential sinking.